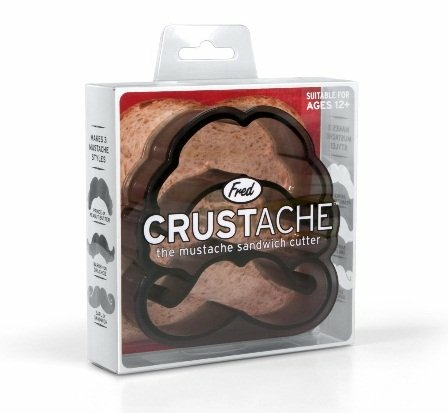 Crustache makes three stylish mini-sandwiches in one simple motion. This handy bread-and-toast punch removes those pesky crusts and gives you a great excuse to play with your food. After all, everyone looks better with a peanut butter and handlebar!